- Conduct surveillance audit at agreed frequency to verify continued implementation of Management System as per the proposal. - Verify the effectiveness of continuous implementation of Management System and planned processes during each surveillance audit ensuring to cover all processes at least once during each certification cycle. 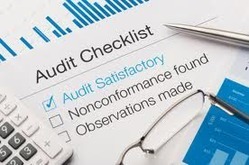 ISO Management Standards focus on continuous improvement, and this is something that is looked for in Surveillance Audits. You must be reassessed at least annually, although depending on the size and complexity of your organization, you may need to be visited more frequently. Max Acerna Management Systems Pvt. Ltd.